The first KEYS Academy in Culpeper, Virginia was founded by Sally Twentey and Deborah Moore, owners of Counseling Interventions. KEYS Academy opened its doors in October 2011 as a response to local needs for Students with Disabilities. Karen Alexander was its first teacher, and served as Director from 2011-2017. Karen Alexander now serves as Mentor Director for all KEYS Academy schools. KEYS Academy is now a division of Health Connect America. KEYS Academy-Culpeper serves students from public school systems in Culpeper, Orange, Madison, Fauquier, Spotsylvania, Green, Louisa, Albemarle and Rappahannock Counties. In response to growth needs from the area communities, KEYS Academy-Culpeper expanded from 27 seats to 40 seats in 2015, and plans were made to open a new school. It serves elementary, middle, high, and post-secondary students with disabilities. Stefan Orange moved into the Director position in August 2017. KEYS Academy-Charlottesville opened in August 2015 due to growing local needs, and serves students from Charlottesville City, Waynesboro City, Albemarle, Nelson, Orange, Greene, Louisa, and Fluvanna Counties. KEYS Academy-Charlottesville has a 24 seat capacity, and serves elementary, middle, and high school students with disabilities. Janna Kincaid is the Director. KEYS Academy-Augusta is our 3rd and newest KEYS Academy School. KEYS Academy-Augusta just recently opened in August 2018 due to growing local needs, and serves students from the counties of Augusta, Albemarle and Nelson, and the cities of Charlottesville, Waynesboro, and Staunton. KEYS Academy-Augusta has a 25 seat capacity, and serves elementary, middle, and high school students with disabilities. Brandy Wright is the Director. 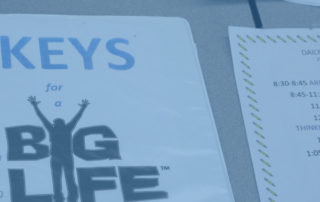 At KEYS Academy, we believe that each child is a unique individual who requires a secure, caring, and stimulating atmosphere in which to grow and mature. We offer intensive services which meet students where they are socially, emotionally, and academically, and provide instruction using specific social and emotional strategies and tools, so that students can operate from a sense of well being and be available for blended learning opportunities in computer based, small group, and large group settings. 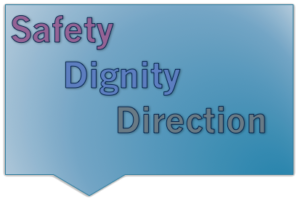 We believe that every student should have the opportunity to create and live his or her own life with self-determination, guided by the core principles of safety, dignity, and direction. KEYS Academy takes pride in forming and nurturing excellent relationships with students, parents and LEAs. "One of the best parts about KEYS Academy is the fabulous staff. You all dedicate so much of your time to us and our needs, and you help us in ways that other teachers wouldn’t be able to. We are able to take a day and slow our pace without feeling left behind in classes. You want us to succeed and you want to see it happen without fundamentally changing who we are. You want us to be ourselves." "Everybody here has made social slip-ups in their lives. We can’t change what we’ve done in the past, but we can improve ourselves so we don’t make the same mistakes in the future. We just need to remember to keep working hard to overcome our fears and get through our troubles. In the process of working on ourselves, we have days where we don’t feel so strong or confident. Staff and our peers are always here to support us and chat with us about things when we need it." "This is the first school where I felt I could express myself and it was like a second home to me. It was the first time I ever felt safe to be myself and be the person I want to be. And I’m not afraid to tell the staff and my friends here if I’m mad, sad, or tired. And for the first time I was able to make connections with people who really want me to succeed."